Slot Magazine Issue 34 May/June 2019. 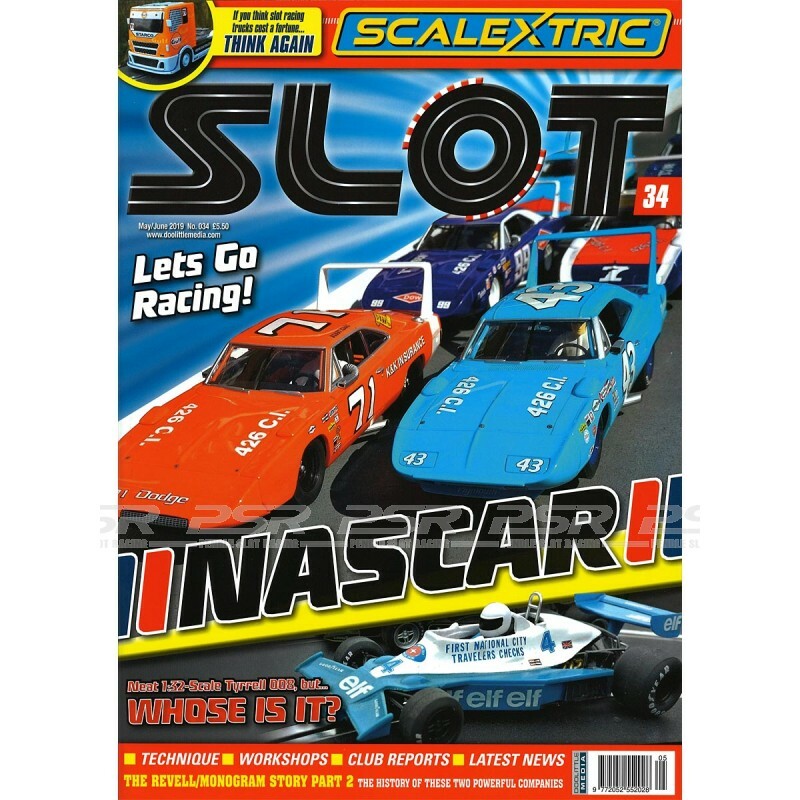 We look at the colourful and brash world of NASCAR racing through the eyes of the slot car manufacturers. Whilst most of the latest models have come to market in recent years, so have the classics. 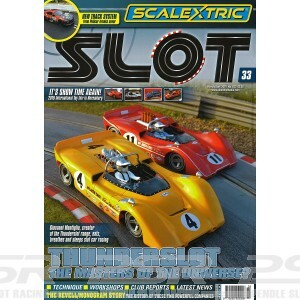 Now that we have had a chance to race the Thunderslot McLaren M6A, the lap times have tumbled! The UK GT3 Championship is underway and we report on the first round from Wolves. 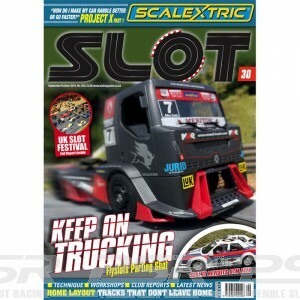 So you think slot racing trucks cost a fortune? 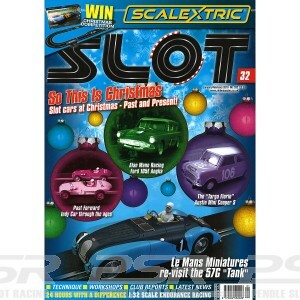 Think again as Scalextric hits you with just about the best bargain on the slot car market. Ideal for limited runs when creating injection moulding tools would be un-economic, Slotwings have been turning their hand at making resin slot car models and we check out this exclusive BMW. Yes, the HO feeder system from Hornby Hobbies is 25 this year. Andy Player turns back the clock to look at the very first offerings and compares them to what is coming in 2019. 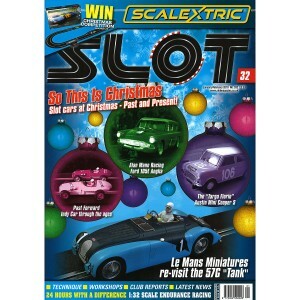 Did you spot the Tyrell 008 on the front cover? Intrigued to know who produced it? 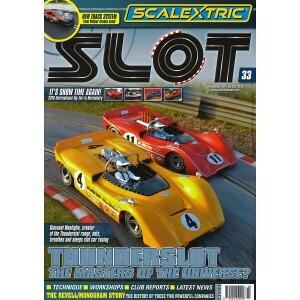 As part of their generic F1 series, Scalextric has given a new coat of orange paint to Mr Alonso’s McLaren. 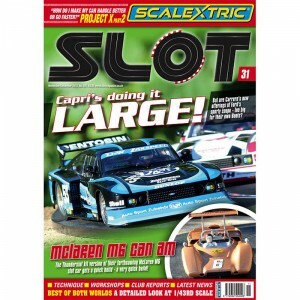 Mark Hatton’s latest instalment in how to create a more realistic slot car track sees him turn his hand to the pit boxes themselves.